Requiring very little adaptation, Brose's power steering motors can be used for cross-model applications in all vehicle classes: from column drives for small cars to pinion drives for the lower mid-range and rack drives for mid-range and luxury cars. While mid-range vehicles are fitted with up to 40 motors depending on the range of features, premium vehicles are equipped with more than 100 motors. The competitiveness of electric motors is measured by their power output combined with more compact and lightweight design. In addition, electric drives must be electromagnetically compatible to ensure trouble-free use of digital vehicle services without impact on other control units. To reach these targets, Brose focuses on electronically commutated (brushless) motors: the smart integration of the electronics into the drive reduces interfaces, optimizes electromagnetic compatibility (EMC) and enables substantial package space reduction. Brose offers these solutions for performance levels ranging from 80 to 1,000 watts, implementing them in cooling fan modules, power steering systems, automated manual transmissions and HVAC blowers. The supplier thus plays a vital role in reaching the EU emissions targets because the implementation of Brose's efficient drive can save around 20 grams of CO2 per kilometer in total. commutated HVAC blower with ferrite magnets: thanks to an electronically commutated motor, the HVAC blower weighs around 500 grams less than a comparable mechanically commutated variant. By the reduction of the overall length by 30 mm, the blower is the smallest of its kind in the 250-350 watt power range, achieving maximum efficiency of more than 80 percent. In terms of noise development it scores top international marks with less than 40 dB(A). 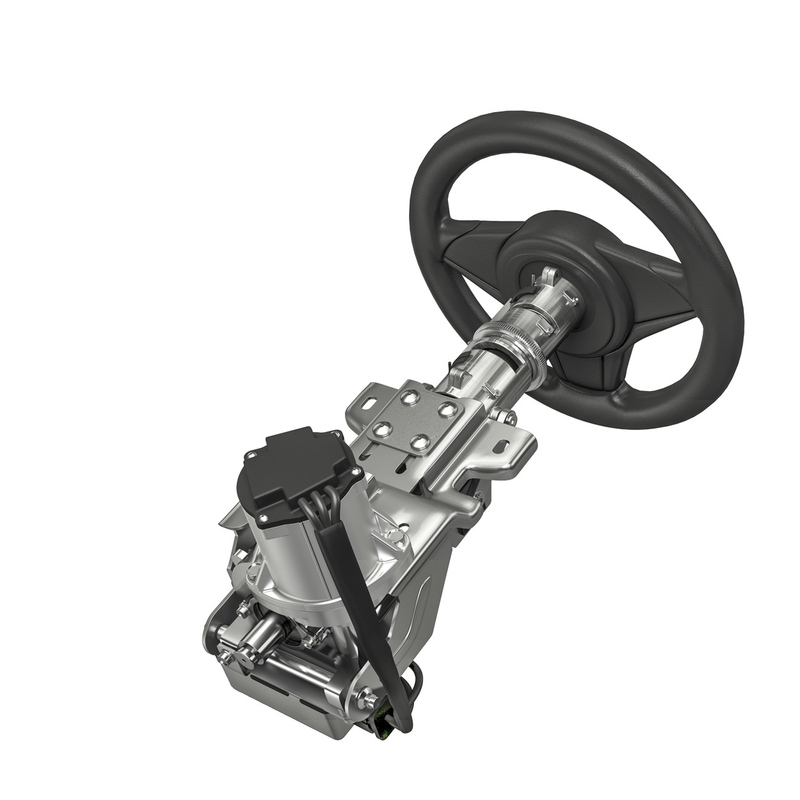 Current steering systems are primarily based on hydraulic solutions. This means that sufficient oil pressure must be ensured all times, resulting in energy being consumed throughout the entire trip – even if the driver is not moving the steering wheel. With electro-mechanical steering systems this is not the case, since power assistance is activated only as required, i.e. for around five percent of the travel time. Consequently, CO2 emissions can be cut by approx. 7 grams per kilometer. Brose supplies non-wearing permanent magnet synchronous motors for power steering drives in modular form, which are available as flange-mounted or built-in solutions for all vehicle classes. Torque ranges from 2.5 to 23 Newton-meters with performance levels from 250 to 900 watts. On-demand activation of electronically commutated drives also cuts fuel consumption of automated manual transmissions while simultaneously delivering a more pleasurable driving experience: the drives assist in the gear change for maximum fuel efficiency, enable automated clutch operation and the selection and engagement of the gear. With dual clutch transmission, this technology can save up to 10 grams of CO2 per kilometer. The use of electronically commutated drives in cooling fan modules increases efficiency by 10 percent and reduces weight by 350 to 900 grams. All variants – from 200 to 1,000 watts – can be easily adapted to the shroud, thus reducing CO2 emissions by some two grams per kilometer under full load operation.